A limited edition of sophistication add to the Cape Clogs Collection. Genuine soft tan leather upper, with heel strap and alder wood food bed. A perfect addition to our spring line! Pica Pica Line adds a limited edition of sophistication to the Cape Clogs Collections. Cocktail Brights offer open toe and a high heel strap style with soft nubuck genuine leather in various bright colors. Whether your headed to a wine tasting or an elegant affair these high heels will match any outfit. 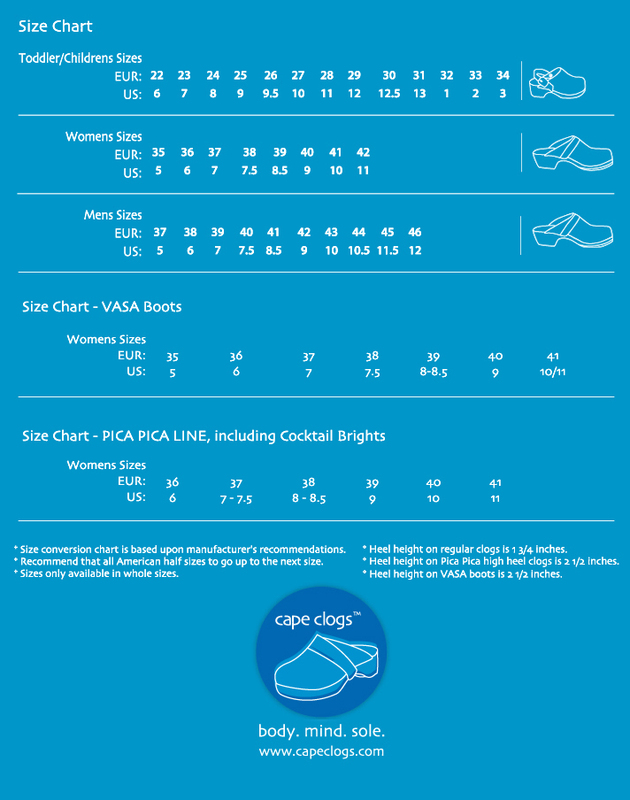 Our entire PICA PICA Line of clogs are branded with the Cape Clogs distinctive three crowned brand identity.